Whether you're 22 or 35 weeks along, pregnant with your first baby or your third, Braxton Hicks contractions can take you by surprise and even trick you into thinking you're entering labor. Also called "warm- up" or "toning" contractions, Braxton Hicks contractions are your body's way of preparing the uterus for labor. And they can send even the most seasoned mother to the hospital – only for her to find out that her Braxton Hicks are causing "false labor." Many women report having more of these contractions later in the day when they are tired or haven't had enough to drink. If you're having lots of Braxton Hicks contractions, don't stop your normal activities, but do make sure you stay well hydrated and take some time to get off your feet during the day. Understanding Braxton Hicks contractions during pregnancy - when they occur, what they're like, and how to relieve them, as well as how your true labor contractions will differ - can help you interpret what is occurring in your body, and when it's really time to go to the hospital or call your OB doctor. When Do Braxton Hicks Contractions Start During Pregnancy? 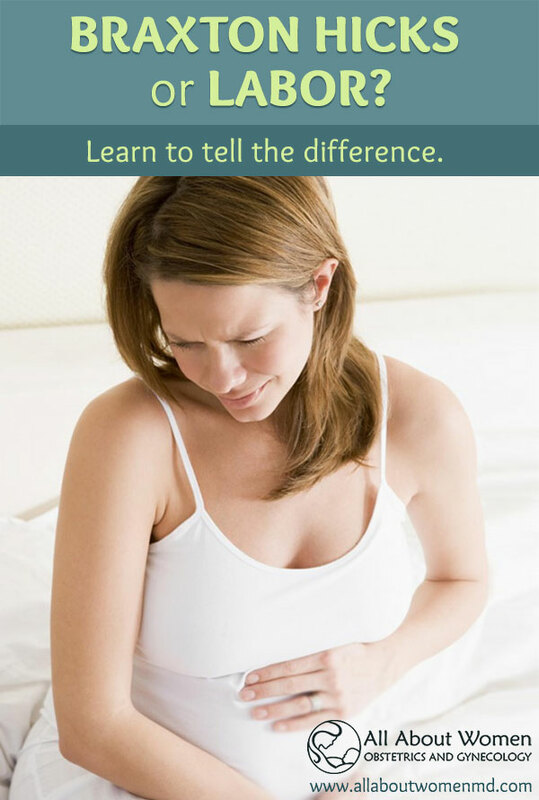 As with most all pregnancy matters, Braxton Hicks contractions are different for every woman. All pregnant women experience these contractions but not all expecting mothers are aware they occur. Some women don't feel any kind of contraction until delivery day, and that is completely normal. You don't need to worry if you haven't felt any warm-up contractions. Many women, however, do feel their Braxton Hicks contractions, usually any time after the 20- week marker of pregnancy. While some women feel them this early, others may not experience any until the later weeks of pregnancy. In second and third pregnancies, some mothers say they're Braxton Hicks contractions start earlier. Braxton Hicks contractions often begin very mildly, feeling like a tightening sensation across the uterus. They may become stronger in the later weeks of pregnancy. Their strength and recurrence is how expecting mothers confuse them with true labor contractions. Their intensity doesn't change. Braxton Hicks contractions usually remain fairly weak, while true labor contractions grow increasingly intense. They go away with a change in activity. If you're sitting down and having Braxton-Hicks contractions, they will usually go away if you get up and walk around. If you've been moving around, the opposite is true – try resting for a while and the contractions should go away. True contractions, on the other hand, do not go away with changes in activity. They feel like a tightening across the front of the uterus. True labor contractions, on the other hand, wrap from the top of the abdomen down, and wrap across the front of the abdomen and around the back. They are irregular. The length and frequency of Braxton Hicks contraction varies. True labor contractions occur at regular intervals and last at least thirty seconds. Real contractions will also grow longer and closer together. Many women report having more of these contractions later in the day when they are tired or haven't had enough to drink. If you're having lots of Braxton Hicks contractions, don't stop your normal activities, but do make sure that you stay well hydrated and take some time to get off your feet during the day. A warm bath or a cup of tea can also help to relieve your contractions. If you experience any of these signs along with regularly occurring contractions, you are probably in labor. You may not need to go to the hospital right away, but you should contact your OB doctor or midwife to let them know what symptoms you are experiencing and how far apart your contractions are. Braxton Hicks contractions present themselves so differently in successive pregnancies that even the most seasoned mothers can be confused , not to mention first-time mothers. The best way to have peace of mind about these contractions, besides educating yourself, is to stay in close contact with your OB doctor and midwife. Florida's obstetricians and midwives at All About Women want you to feel confident with every step of your pregnancy. If you're concerned about contractions, or think you a re pregnant and need to ensure you and your baby are healthy, contact our Gainesville or Lake City office to schedule an appointment today. Contractions: Braxton Hicks, Prodromal Labor or the Real Thing?